The Norwegian climate trial was doomed to fail. But not all hope is lost. To lose a lawsuit is never fun. But when it has negative consequences for our environment, we all lose a little bit. Last week on Thursday, Greenpeace and Natur og Ungdom (Nature and Youth) lost the lawsuit they had filed against the state. 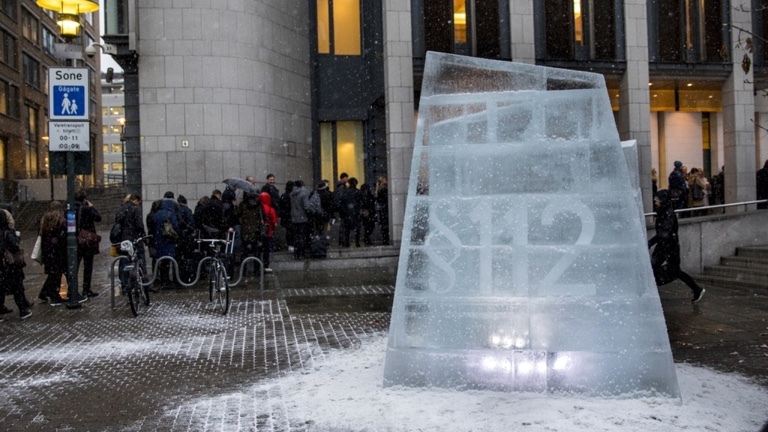 They demanded that the expansion of oil drilling in the Barents Sea should be banned since this would go against Article 112 of the Constitution, also known as the climate paragraph. A small bright spot in the verdict was that for the first time a judge established that Article 112 does entail the right to a clean environment. When a certain threshold of environmental damage is exceeded, the government can be held responsible for this damage. This ruling will undoubtedly play a major role in other, future lawsuits. Why was the Dutch climate trial successful, but not the Norwegian one? But that's where the good news ends. The judge ruled that this threshold wasn't exceeded. The climate impact of oil extraction in the Barents Sea was not large enough, because the judge only considered the national contribution. The bulk of the oil is exported and not counted. In addition, the court noted that CO2 emissions in Norway represent just 0.15% of global emissions. The oil industry accounts for 28% of that. A reduction in these emissions would have too little effect, according to the judge. From a moral and scientific point of view this is bizarre. Norway earns a lot of money by helping the world to pollute our planet and is therefore partly responsible. Every drop of Norwegian oil that is pumped up and burned domestically or abroad ends up in our atmosphere and contributes to climate change. Ultimately, this also affects us. And as far as that low percentage is concerned: per capita we are far above the global average. It is true that India's national emissions are higher, but per person it is six times lower. An Indian income is tens of times lower. Should we continue to pump up oil undisturbed, and let the third world foot the bill, simply because there are more poor people than prosperous Norwegians? Still: within the framework of this lawsuit, I can understand the court's verdict, even though I would rather have seen the climate on the winning side. Yes, in international climate agreements, oil exports do not fall under national emissions, because other countries are themselves responsible for the amount of oil and gas they burn. Seen this way, this ruling was not entirely unexpected. The opposite happened in a previous climate case, almost three years ago in the Netherlands. The judge conceded to the climate organization 'Urgenda' that the Dutch government didn't do enough to prevent dangerous climate change. The judge forced the state to reduce greenhouse gas emissions by 25% by 2020. Why was that case successful, but not the Norwegian one? What went wrong? Greenpeace and Natur og Ungdom (Nature and Youth) lost against the state in their climate trial. The problem was that their focus was too narrow. Even though the lawsuits seem similar, they aren't. In the Netherlands, the judge assessed whether the climate policy agreed upon by the government was sufficient to combat climate change or whether further emission reductions were necessary. In his ruling, he concluded that the judiciary must have a great reluctance to intervene in government policy, but it weighed more heavily that the task of providing legal protection against the state lies pre-eminently in his domain. He also stressed that the case was not about how the reductions in greenhouse gas emissions should take place. That consideration remained with politics. In Norway, however, the environmental organizations tried to ban a further expansion of oil exploration in the Barents Sea. A much more direct control of government policy. It was precisely because of this narrow focus that the judge could not come to a different conclusion, since the separation of powers weighed more heavily. Whether Norway is doing enough to combat climate change could easily be left out of consideration. The government appears to have excellent climate goals, but the practice often leaves a lot to be desired. For example, a new law has been in force since 1 January that states that emissions must be reduced by 40% by 2030. For the sake of convenience, they omit that a reduction of 30% should already be achieved by 2020 according to the Kyoto protocol. That is far from being realized. National CO2 emissions have barely changed in the past 25 years and will certainly not drop by 30% over the next two years. It seems to me that a violation of Article 112 is much easier to demonstrate in this case.